The Central Board of Secondary Education (CBSE) conducted the Class 10 Hindi Examination for both papers Course A and Course B on March 19, 2019. 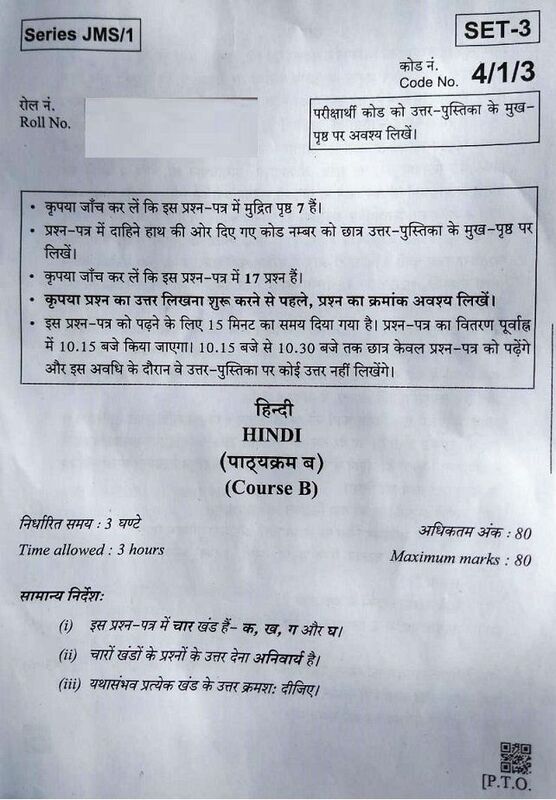 We are providing here the CBSE Class 10 Hindi Question Paper 2019 in PDF format which can be downloaded from the link given in this article. We also tried to talk to class 10 students to get their feedback and reviews for CBSE Hindi Paper. Most of the students said that the paper was easy but a bit lengthy.